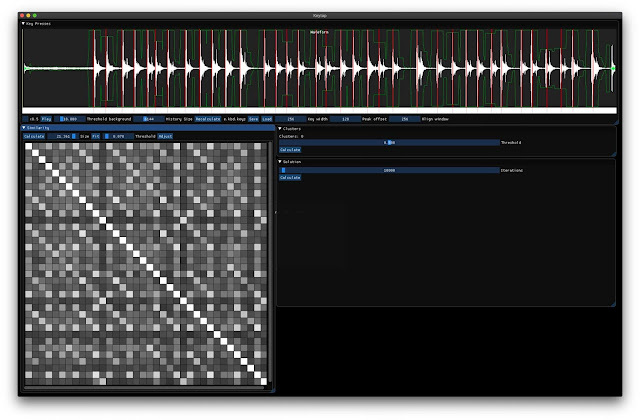 This is a collection of command-line and GUI tools for capturing and analyzing audio data. The most interesting tool is called keytap - it can guess pressed keyboard keys only by analyzing the audio captured from the computer's microphone. Detect pressed keys via microphone audio capture in real-time. Uses training data captured via the record tool. Detect pressed keys via microphone audio capture. Uses statistical information (n-gram frequencies) about the language. No training data is required. The 'recording.kbd' input file has to be generated via the record-full tool and contains the audio data that will be analyzed. The 'n-gram.txt' file has to contain n-gram probabilities for the corresponding language. Any feedback about the performance of the tools is highly appreciated. Please drop a comment here.